Best Quadcopter Drone Under 200 Dollars? We must be kidding right? Actually, we aren’t! It’s definitely possible to buy best available quadcopters but takes a bit of searching around. The challenge is to find one that has the best quality for your cash. Most of these types of drones will allow you to take snapshots, video, or both, but one that does all three is a more effective way to spend your money. When searching for a quadcopter, you’ll want to ensure you’re buying the best video camera possible—one that has crisp clear images, and great resolution too. At these price points, you won’t find HD—High Definition, but that could be your next purchase, once you try out an inexpensive model. You can’t assume that all flying drones contain a camera because many don’t. Many drones can have camera mounts installed onto them, or they already have them built-in, so only a camera is needed. For some drones, it’s not possible to install a camera, unless you do some serious bashing. But best of all, you can actually buy drones that already come with a built-in camera. You don’t even need to learn how to install it. There are dozens of brands out there, but if you’re seeking a quad with a camera for under $200, your search narrows down a bit. Hubsan, UDI, Galaxy and Syma all have models that come with a built-in camera. Here are five of the best quadcopter brands and models to check out. Best of all, they each cost under $200. Hubsan has a great line of affordable quadcopters, and they have two in their range that either come with a camera, or one can be added, and both cost under $200. The Hubsan X4 H107C quadcopter comes with a camera and is so affordable that you can buy more than one, for each member of the family. The Hubsan X4 H107C quadcopter is made with a variety of colour choices. There is one with a black plastic casing that has green highlights, yellow with black highlights, blue with black highlights, and red with black highlights. The Hubsan is more of a compact drone than a full size one, making it perfect to tuck into your bag or car for impulsive flying. The Hubsan is built with a durable, but lightweight frame. It’s perfect for the beginner who may put it through some unintentional crashes. It only costs $50, so is a minimal investment for the beginner. 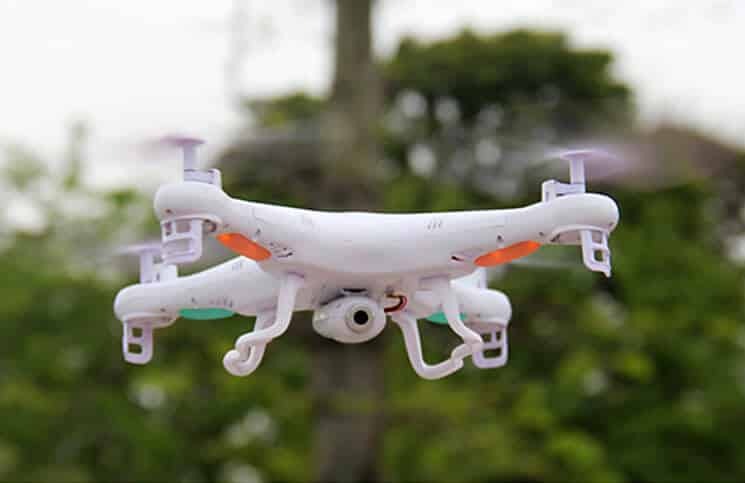 Once the beginner becomes a pro at flying, they can purchase a drone that is more expensive, such as the DJI Phantom, that has a full range of features. The Hubsan was built with the latest six-axis flight control system and has a self-adjustable gyro sensitivity. This makes it easy to fly, whether you’re a beginner or expert. The Hubsan X4 H107C offers two different flying modes for the pilot There is the beginner flying mode and the expert flying mode. The beginner’s mode will help you to fly, taking over many of the quad’s flying features, keeping it stable in the air. The expert mode will allow the pilot to take over completely, which will enable you to use the full features of the camera. This is perfect for the real estate agent or reporter to use, to get a feel for how flying drones with cameras really work. The radio controller has four different channels, to avoid interference with other drones on the field. While this drone does come with a camera, costs are kept cheap, so you’ll need to purchase your own SD cards. It’s also not possible to adjust the camera while in flight, as it points straight ahead. The camera is limited, but it does shoot full-colour video. You’ll need to grab screenshots from the video after, as there is no option to do so while in flight. 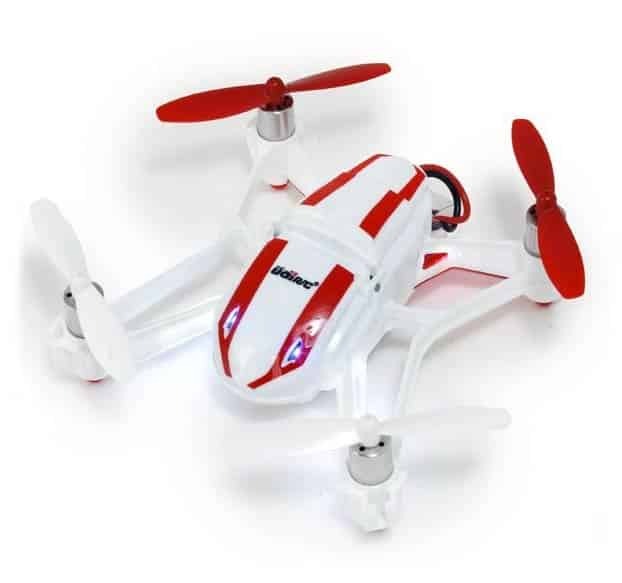 The Hubsan X4 H107C is a mini-drone that measures in at 3.25 inches x 3.25 inches x 1.25 inches. It’s extremely lightweight at around one pound. It’s powered by a lithium-ion battery that is rechargeable, so you don’t have to worry about replacing batteries. The Hubsan is recommended for ages 14-15 years and up. 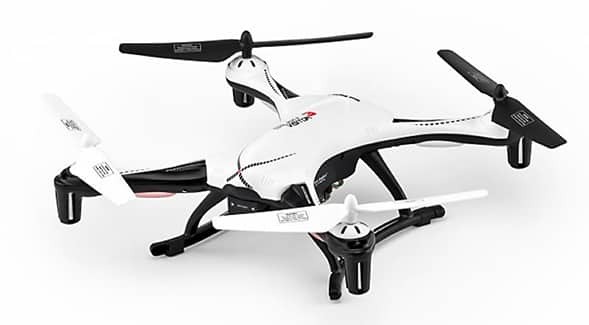 The Hubsan X4 H107C has super stable flight, particularly in beginner mode. If you’ve found it hard to learn how to fly drones with other quads, you may be pleasantly surprised at how easy it is to fly a Hubsan. The Hubsan X4 H107D is one step up from the Hubsan X4 H107C. You can spend more money and get more features with this drone. This drone is priced at around $160. Instead of being a compact drone, this is more of a full sized quadcopter. It is made with a white plastic casing, with red blades. This quad also has a full-colour video camera. It’ll take still photos or video. The Hubsan X4 H107D has an expert flight mode that should interest most flying pros. It allows you to perform acrobatics and manoeuvres which would not be possible on the C. You can use the D indoors or out, but it’s recommended that you utilize the expert mode outdoors, particularly to see what this model is fully capable of. The radio controller has a built-in video screen for FPV—First Person View. This will enable you to watch a live streaming video, even while in flight. There’s no need to return home to download your video before seeing it, as now you can see it as its being filmed. The Hubsan X4 H107D is also able to adjust to windy conditions, so you won’t need to pack up. The Galaxy Visitor 2 has a white upper finish and black undercarriage with black and orange propellers. It’s priced under $140. The Visitor 2 is another compact drone on the market. Notable features include the ability to return to home with the press of a button. This feature is handy for two reasons. One is that many times during flight you may lose sight of your drone. While you could just kill the power, this may not lead you to find where your drone has gone. With the automatic return, you’ll never have to worry about losing your drone again. This is also a great feature to have when you’re starting to get weary at the end of the day and just want to go home. It eliminates any pilot error when you get tired. There are three modes of flight on the Galaxy Visitor 2, making it one of the best drones to buy today, as it’s perfect for beginner or expert. The Galaxy Visitor 3 quadcopter is an update from the Visitor 2. Drone pilots favour the update. This quad is compact and is made with a white plastic casing, with traditional black coloured blades. This is another great drone for the beginner. This quad is priced at around $150, about $50 more than the Visitor 2. Not only is it priced right, but it’s also a dream to fly. A beginner’s function will allow it to remain within 6 to 10 feet of the radio controller. There will be no worries that it goes out of sight. There’s a return to home function on this quad, making it easier for a beginner to learn how to pilot. The beginner controls make it easy to learn to fly. The altitude hold is also a great feature to have. The UDI818A also has a built-in video camera. This is where the altitude hold will come in handy, particularly when filming over a waterfall, or lake. If you’re looking for the perfect quadcopter for your kids, the Syma X1 4 is the perfect flying drone for them. When you’re searching for the best drones under $200, you want to ensure you buy a durable flying drone for the kids to knock around. There’s still plenty to please the adult user too. This quadcopter comes in a yellow bumblebee design with white and black rotating blades. Its body is 26 cm in diameter and is made of durable metal arms. The yellow colour will enable young and old alike to keep an eye on it, as it flies through the air. Its lightweight design makes it easy for kids to pick up. It possesses strong flight controls so if you’re flying it during windy conditions, it’s able to keep itself under control. At under $40, it has some remarkable flips and special effects that aren’t normally present at this price point. Your model will intuitively respond to your controls, and it’ll never feel like you’re going to lose control of your flying drone. The Syma X5C quadcopter is an attractive full-sized drone with a built-in camera. The camera seems to be of better quality than the other drones reviewed. It’s comparable to the higher-end line of Parrot drones and definitely worth checking out for its $60 price tag alone. It also looks like you spent more money on it than you really did. It may be right for the professional who is selling video drone services to other businesses. There are more professional features available on the Syma X5C quadcopter. It runs at a 2.4 gigahertz frequency, so you have effective control of your drone while in flight. The drone has a 500mAh rechargeable battery. The radio controller and drone interface allow for split-second precision control. It’s built with a six-axis stabilization system and a 360-degree version. These features allow the photographer to shoot a continuous roll of footage, without having to nab screenshots off the computer. Or, you can film in video mode too. The camera films at two megapixels resolution. There is enough storage for two gigabytes of images and video. The UDI U818A features a uniquely designed shape that’s a bit different than the other quadcopter shapes. This one has four rings connected together, with the blades under the unit. It’s a black colour and is designed to withstand bumps and dings. It’s priced at just under $60, making it an affordable price for beginners. The UDI U818A has a built-in six-axis gyro to help to maintain positioning. It comes with a built-in video camera, making it attractive for business professionals. Charging time is 120 minutes, and flying time is about seven to nine minutes. You’ll want to purchase additional batteries and pre-charge them up, so you have additional flying time on the field. Its modular design makes it easy to repair. If you’re a bit rough with your flying, this may be the better design for you or your kids. 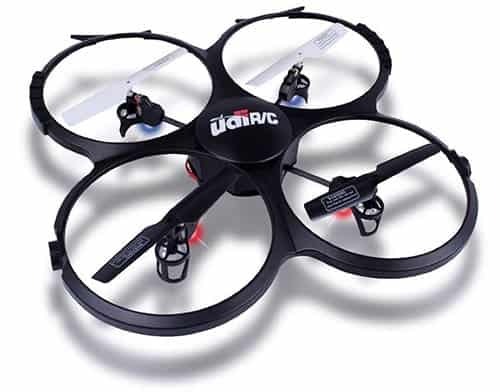 The UDI U841 is a more traditional looking flying drone, in the helicopter shape with the black and white finish. The UDI comes in three different flying modes: flying mode, running mode, and climbing mode. A six-axis gyro system provides stable flight, particularly for those who aren’t all that familiar with flying techniques. It offers more stability and is more accurate to control. If you wish to fly this drone at night, it has a cool flashing light enabling you to see where it’s going. Like other drones in its class, it also comes with a video camera. The price of the UDI U841 runs at just under $60, making it affordable. It can be difficult finding the best quadcopter under $200 when you can only choose just one. Out of all the flying drones for under $200, we preferred the Syma X5C. It was not only at a great price point of $60, but it has some great features as well and is easy to control. We really loved the split-second reaction time that the other drones lacked. Nothing is worse than using your controller, then having to wait a second or two for your drone to respond. Split second timing can be important when your flying drone is heading towards a tree or a river. It can mean the difference between losing or saving your $60 investment. It’s not a ton of cash, but still, losing a drone can be a downer. We also loved the photographer’s controls on the Syma X5C, making it a great choice for business professionals to purchase. We captured some great images with its camera, and great video too. It’s definitely comparable to other more high-end models of quadcopters such as the Parrot drone cameras. We also found the Syma attractive. It wasn’t compact, but that is more of an aesthetic than anything. Overall, we felt that the Syma has more professional quality functions similar to more expensive flying drone models, and more in comparison with the Parrot drones. 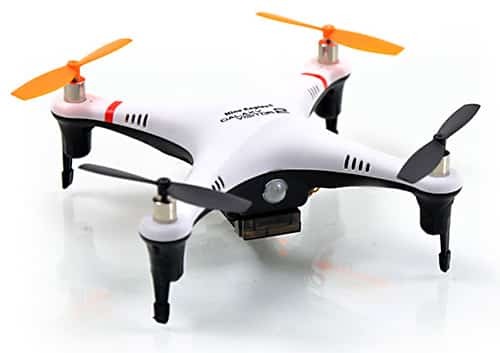 The Syma X1 4 was great, but if you’re a business professional, it may be embarrassing flying around a bumblebee drone in the Syma X1 4 Channel 2.4G. Any of the above five quadcopters from Hubsan, UDI, Galaxy, or Syma, that we have reviewed here will be perfect for the drone enthusiast who is looking to try in-air video filming. However, the Syma X5C stands out and may be a better fit when you’re a business professional who is looking to add video to their website for marketing purposes. 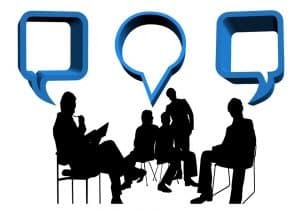 Check real reviews of Syma X5C from real customers at Amazon! Once you choose your quadcopter, bring it home and start taking it out on flights, you’ll get a better feel for what options and features you may be seeking on your next purchase. You can purchase one that costs a bit more money. Be sure you purchase a name brand quadcopter and not one of the made in China rip-offs. These quadcopters are often made to look exactly like the name brand manufacturer’s models, but they often lack the internal controls to accurately fly them. In the end, it’s not worth saving a few bucks when your cheap knock-off goes missing in the night because you didn’t want to spend full price. No matter which quadcopter you end up choosing, you’re sure to enjoy embarking on your new flying drone hobby. 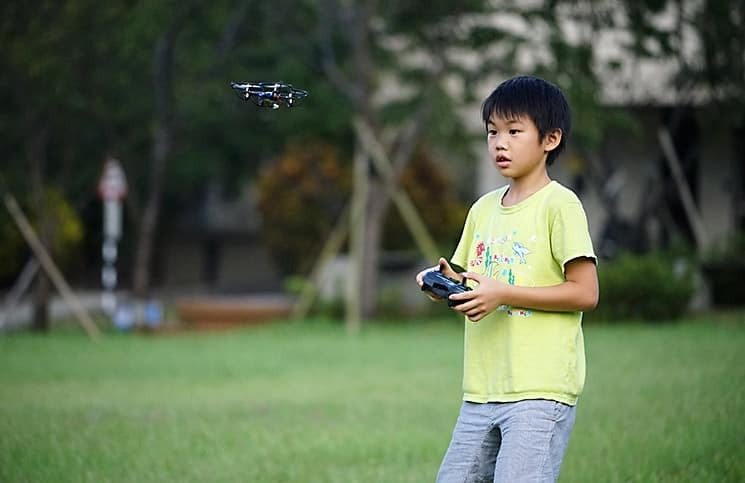 Flying drones can bring together your entire family for an enjoyable outdoor experience. Whilst we aim to provide you with the best-priced products in the market in 2018, there are always special occasions like Black Friday & Cyber Monday where all products are available at an extremely discounted price on Amazon through deals.